It's officially nice cream season! If you don't know what nice cream is, I'll tell you. It's basically just blended up frozen fruit, usually with banana. The banana makes it creamy. If you're skeptical, you should give it a try. My kids love it. (I could tell you that I love it but we all know kids are more picky, so their endorsement speaks volumes.) Start with this Strawberry Maple Nice Cream and then move onto this Peanut Butter Chocolate Banana Nice Cream. 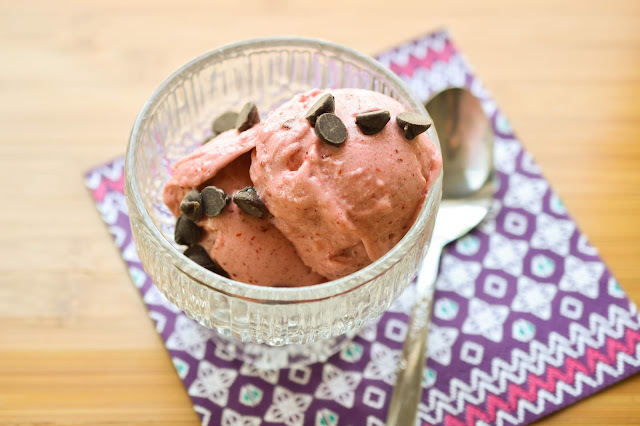 I was cleaning out my freezer this weekend and realized we have an abundance of frozen fruit, so I made a big batch of strawberry/banana/cherry nice cream (above) for the family. If it feels a little too virtuous for dessert, go ahead and add the chocolate chips. Even though it's hot outside, the air conditioner is on inside so I feel we can pretty much make what we want. 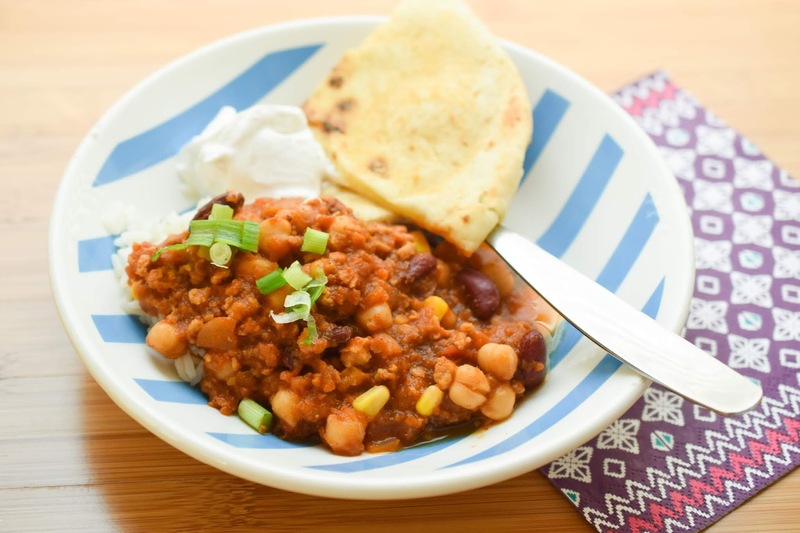 And that's why we had this vegan chili again this week. It's another family favourite. This time we served it with green onions, vegan sour cream and toasted naan bread topped with oil and garlic powder. Of course, this isn't the most environmentally friendly approach. I'd much rather have the windows open and fresh breezes blowing. Then I would stick to salads, veggie burgers on the barbecue and other summer fare. We try to shut the air conditioner off when we can but some days it gets so uncomfortable in the house, we just have to turn it on. For a peek at a full day of vegan eats, I'm looking at Monday. I had a craving for pancakes. (Who am I kidding, I could eat pancakes every day!) 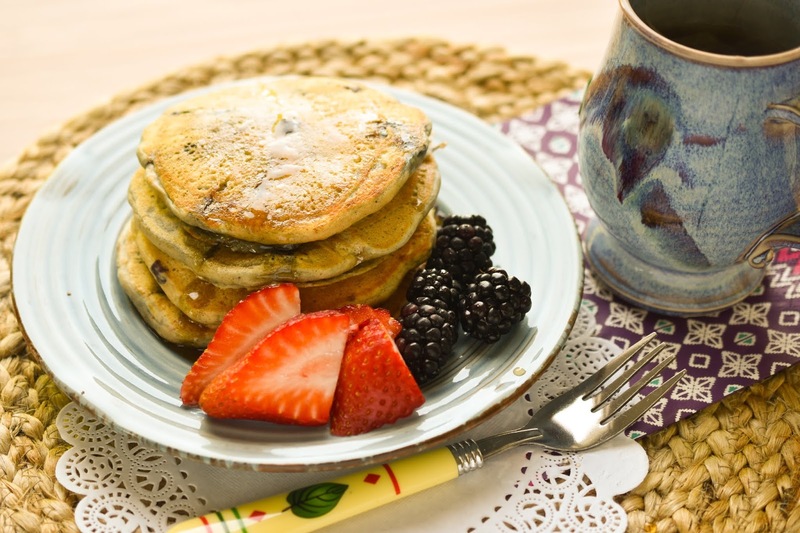 I used the very good, basic pancake recipe in Vegan Brunch: Homestyle Recipes Worth Waking Up For--From Asparagus Omelets to Pumpkin Pancakes . I added blueberries (thus using up more of that frozen fruit!) and the pancakes were delicious - just what the doctor ordered for a Monday morning! Excuse the messy lunch. We had vegan bowls the night before (another meal the kids really like, btw) and this bowl (above) was made up of all that was left. 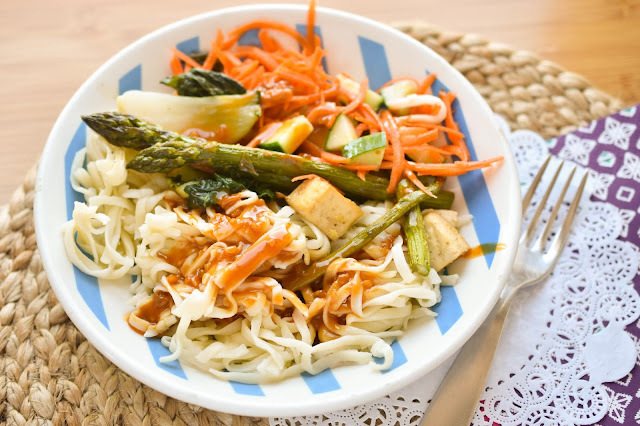 Some udon noodles, a few cubes of fried tofu, some asparagus, baby bok choy, shredded carrots and cucumber. I used a nice bottled peanut sauce on top. After my husband got home from work, we went to Costco to buy plants. We also bought a few snacks and things (and spent $270). 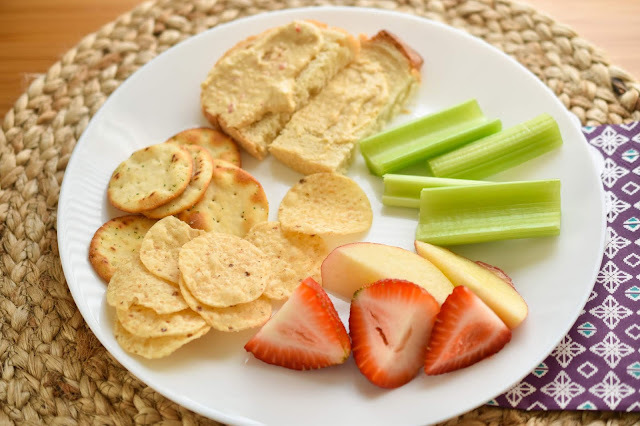 By the time we put the groceries away nobody wanted to cook, so we took out some Costco-bought goodies like hummus, crackers, tortilla chips, celery, bread and fruit and had a simple dinner. Are you into the classic summer meals yet, or are you a bit all over the place like us? I am not a nice cream fan but I do love pancakes and could eat them every day as well. ooh i'd love to try making nice cream one day! just fruits sounds pretty tasty! i just might have to try that chili of yours too. i'm always looking for a couple more fun meatless recipes. It's amazingly tasty if you balance the fruits well. I like a full banana with 3/4 cup of berries. For sure, try the chili! I love it. Thanks. We are full on in summer mode. It is HOT and so damn humid. I'm barely heating lunches up at work. Wow, it's hard when it's that hot and humid! I know I don't function well.